Our wide selection of used vehicles from Land Rover and Range Rover ensures that you'll always be able to find your ideal car at Sturgess Land Rover Leicester. 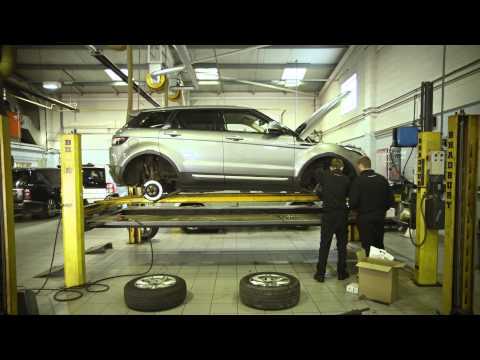 As a main Land Rover dealer, you can be assured that the cars on our forecourt are of the highest standard and undergo a rigorous pre-sale programme of checks for total peace of mind. Approved Used Land Rovers up to 5 years old come with a huge range of benefits when you buy from Sturgess, including a 2 year Land Rover Approved warranty, a 165 point inspection and a complimentary half-day Land Rover Experience. Vehicles over 5 years old will benefit from a 1 year Land Rover Approved warranty. When you purchase any Approved Used Land Rover from us, you receive a reassuringly comprehensive warranty alongside our manufacturer-standard customer service and support. We also provide Land Rover European Roadside Assistance and Accident Management Cover – an exclusive benefit only offered by authorised main dealers. Browse our latest selection below, or get in touch with our experienced team to help you find your ideal pre-owned Land Rover.